The Uruguayan Supreme Court made Uruguay the second country in Latin America – after Argentina – to formally annul the amnesty law passed to protect members of the security forces from accusations that they committed torture, disappearance and summary execution during the period of military control (1973-85). The action taken on Monday by Uruguay's highest court (photo credit) came as the legislature was considering a bill to do the same thing. ► Violated Uruguay’s human rights commitments. These articles suspended criminal prosecution (Article 1), and gave the executive branch the power to decide whether a particular crime or episode fell within the scope of the amnesty (Articles 3 and 4), thus violating principles of separation of powers and the independence of the judiciary. In addition, the unanimous decision found that the law interfered with the rights of victims to truth and to judicial process. 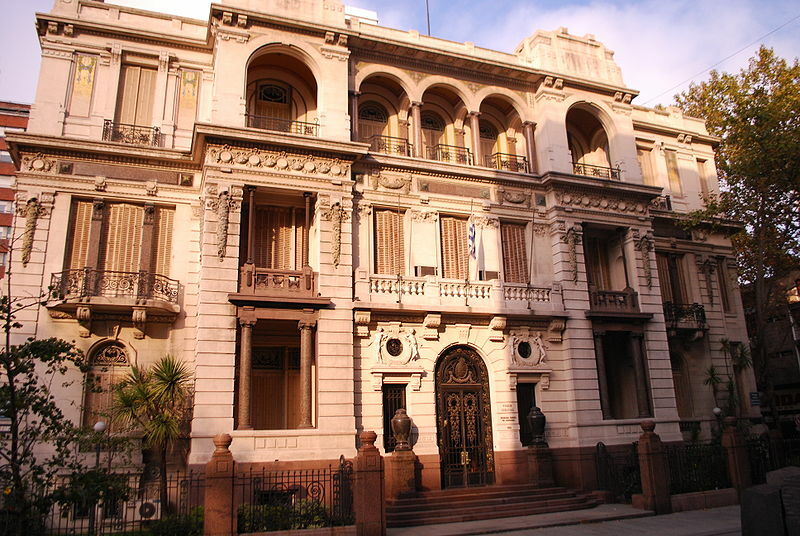 The court cited the role of international law in Uruguay’s legal system and precedents from neighboring Argentina, as well as the inter-American human rights system’s Commission and Court, in reaching its decision. What makes the Uruguayan decision particularly interesting is that the Uruguayan public has –twice – rejected a call to overturn the amnesty law via plebiscite. Uruguayan law allows laws to be overturned if a large number of people call for a plebiscite. Although civil society groups in 2009 managed to gain the required number of signatures to put the issue on the ballot, it lost narrowly. Thus, the Court was acting to uphold legal principles, even in the face of contrary public opinion. The court’s decision brings Uruguay into line with its neighbors. Argentina annulled its amnesty law in 2005, and trials are under way regarding events in the most notorious secret detention centers. Chile has still not formally annulled its amnesty law. But Chilean courts have not applied the amnesty law to crimes committed by the military or police during the Pinochet regime for several years now. Brazil remains the sole holdout. Even though the number of violations in Brazil during the years of dictatorship were relatively low, military officials have taken the position that any effort to bring cases to court is an affront to their institutional role, and would reopen unfinished debates about the legality of the 1964 coup. The Brazilian Supreme Court decided to uphold the amnesty law on grounds that the courts could not interfere with a political decision and that human rights commitments were only acquired subsequent to the crimes and so could not be the basis for overturning the law. Even so, the Brazilian government has paid reparations to victims and survivors, has held investigations, and is discussing a truth commission. Civil society groups and the Caravana da Anistia, the Amnesty Commission within the Justice Ministry, will be pushing the new Brazilian President Dilma Rousseff to take a fresh look at the issue – especially given the increasingly solid regional consensus that formal amnesties, at least, are a thing of the past. Not quite. Unlike the US or the Argentine Supreme Court, the Uruguayan Supreme Court can only declare a law unconstitutional in a specific case (see Art. 259 Uruguayan Constitution 1997). The Uruguayan Supreme Court declared the Ley de Caducidad (amnesty law) unconstitutional in the Nibia Sabalsagaray case on October 19, 2009, but that ruling only applied to Nibia Sabalsagaray. On October 25, 2009, Uruguayan voters rejected an initiative to annul the Ley de Caducidad in a plebiscite. It appears that the only way to annul the Ley de Caducidad now is by a law that would have to be adopted by the Uruguayan Congress and to date there has not been agreement to do so. On November 1, 2010, the Uruguayan Supreme Court in a per curiam decision declared the Ley de Caducidad unconstitutional for the second time (based on the Sabalsagaray judgment) in a case involving 20 killings during the government of Juan Maria Bordaberry. On November 8, 2010 General Manuel Dalmao and retired Colonel Chialanza were arrested and detained in the case of Nibia Sabalsagaray. This is noteworthy because Gen. Dalmao is the first high level active duty military officer to be arrested. All of this activity may have something to do with the fact that the Inter-American Court of Human Rights will be considering the Gelman case next Monday and Tuesday during its public hearings in Quito, Ecuador. The Gelman case puts into question the compatibility of Uruguay's Ley de Caducidad with the American Convention on Human Rights. The hearing will be webcast.